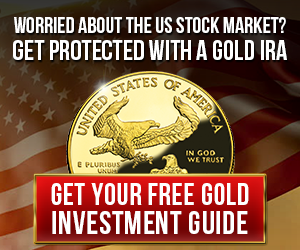 Bitcoin has been called the ‘investment of the decade‘, digital gold and the future of money. Bitcoin is making the news for it’s incredible price gain in recent years. At the time of this writing, 1 Bitcoin is worth over $4500 USD. That’s a $3900 gain from just 1 year ago. If you have not done so, take the time to understand what Bitcoin is and what it is not. It is important to understand that it will take time for Bitcoin to gain the widespread adoption it needs to be a form of money that people use daily. When it comes to retirement accounts and your 401k and IRA funds, you have the time. Investing in a Bitcoin IRA for your future is worth thinking about today. With your retirement account, the time will pass anyways. Let’s go over what money really is so that we can understand why Bitcoin is important to the future of money. Medium of exchange – money can be used to pay debts or buy goods and services. In the absence of money, goods and services would need to be exchanged through trading or bartering. For example, if I have an apple, and you have an orange, we can trade each other for those goods. Unit of count – money is the standard unit of count for which we place value on goods and services. We have a general understanding that certain goods cost a certain amount. Like groceries for example. Store of value – the value of money is retained over time (minus inflation). Cash is a convenient way to store your wealth. According to the definition of money, Bitcoin is a form of money. Bitcoin is a medium of exchange, gaining merchant support daily. It is a unit of count that has an equivalent US dollar value. Lastly, Bitcoin is a store of value that can be converted to USD via an exchange. Bitcoin has become increasingly popular as an investment due to rapid price growth, easier entry, and education. There is a new generation of ‘Bitcoin Millionaires’ that were early adopters and believed in cryptocurrencies. The transfer of wealth is happening, and it’s not too late to hold Bitcoin. People are just beginning to understand the value of the blockchain technology that makes Bitcoin possible: A decentralized form of money that’s not controlled by any one government or central authority. Is Bitcoin eligible for inclusion in an IRA? Yes, Bitcoin can be held in an IRA. Once you understand the rules, it all makes sense. What are the Bitcoin IRA Rules? Bitcoin does not fall into any of these. It is not advised to attempt to do this on your own. There are Bitcoin IRA companies that specialize in this process. They can tread safely in the murky IRA waters to give you the result that you desire: transfer of funds from a 401k or current IRA into Bitcoin (or Ethereum, Litecoin, Ripple) in a Tax free way. Bitcoin IRA companies provide custodial services to safely rollover the funds from your current retirement account and convert them into cryptocurrency. The key to the entire process is avoiding tax penalties, and storing your new digital money in a safe and secure digital wallet. Is a Bitcoin IRA right for you? The saying goes, ‘only invest what you are willing to lose’. 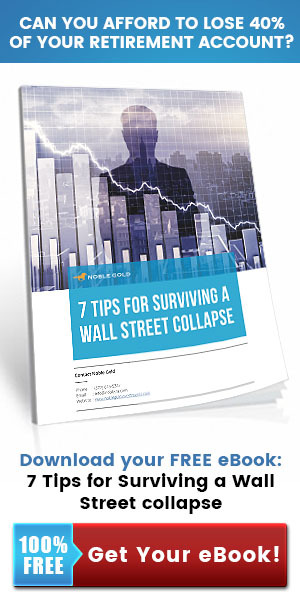 That’s solid advice for investments of any kind. We would recommend allocating 5-10% of your funds into Bitcoin if it’s something that you want to try. If you feel like you have a firm grasp on the concept of cryptocurrency and truly believe in it, then you can always do more. The key is to understand what you’re investing in so you can make an informed decision, rather than an entirely speculative one. If you have further questions about Bitcoin IRA’s or retirement investing as a whole, we recommend that you have a frank discussion with a professional advisor. 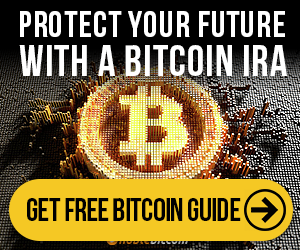 For a free Bitcoin IRA Investment Guide, click here.